This Idols anime doesn't break any new ground. Hanako arrives back in Japan looking for Idols, apparently the other meaning of the word. She get recruited into a group of idols known as the Music Girls because of her picking up on the choreography instantly, unfortunately she can't sing! And, thus a star is born, or at least that's implied. The animation is good and the voice acting is passable, although their music is fairly good. If you're into Idols then you'll enjoy this one, although if you don't, I would give this one a pass. After watching two episodes of this, I can report that this is not a very unusual show. It's cute and the animation is good. It's not a bad way to spend your time. 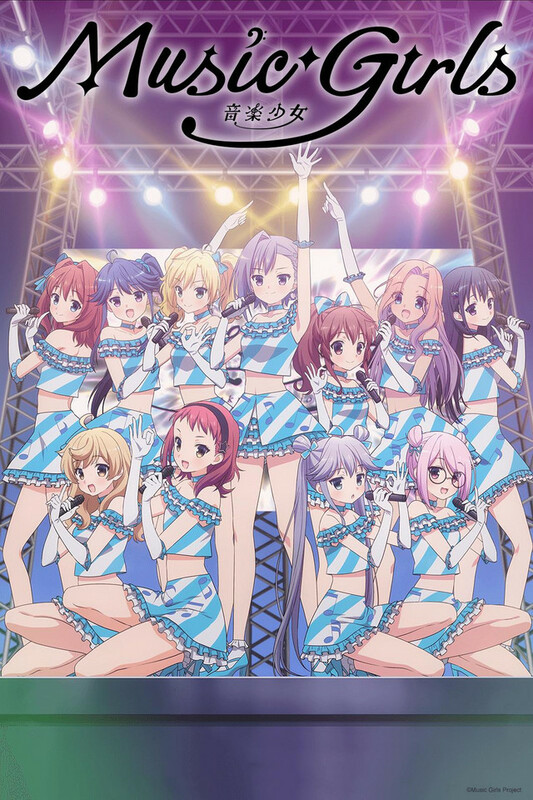 I can recommend it if you enjoy cute idol groups, as this one is indeed cute. Not bad, not great. Probably got something for everyone's taste in the group. The only thing that really stands out in this is the main character. She is of course rather exitable and bubbly, as one would expect, but her skills makes her a bit unusual, from what I have seen. All in all, there's nothing really surprising or special about this show, but not too much to complain about either. 3/5, a pass. i was pleasantly surprised since there has been some horrible idol animes that have came out with character songs that were horrible and storylines that are just horrible. I really started to root for the characters and like many other great idol anime they are not stars. It realistically showed the hardships facing music industry plus it was really funny. if you are looking to binge this week this is it.